One of my favorite sayings is, "do what you love, and you will never have to work a day in your life." As I enter my 16th year in the summer camp business, I can happily confirm this statement to be true. Running a summer camp is not a job to me, rather it is something that I love doing! My love affair with summer camp started in my youth, which was filled with camp activity that allowed me to make numerous friends and build lasting memories. In fact, my childhood experiences at camp were so positive that I was inspired to work as a summer camp counselor for 4 years in college. I loved this job and would have worked for free (I did not consider being a counselor "work"). 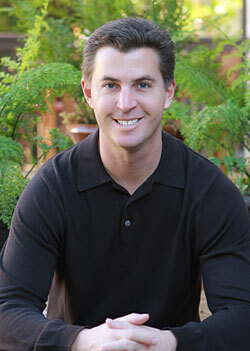 After graduating from UCLA ('97), I spent several years in the "real" world. I quickly advanced up the corporate ladder through a series of promotions while concurrently attending classes (during evenings and weekends) at UC Berkeley's Haas School of Business to earn my MBA ('05). Yet despite my success in both the boardroom and the classroom, the thought of running a camp remained a passion of mine that was too strong to ignore. These thoughts intensified when I became a proud father in 2007. Becoming a parent reminded me how important life is and inspired me to get back to doing what I love! Running Champion Summer Camp as the Owner and Executive Director is my dream job, and something that I first started fantasizing about when I was 18 years old. Turning this dream into a reality has been one of the most gratifying accomplishments of my life. As a life-long Bay Area native, I thoroughly enjoy giving back to the community that has given so much to me. As a small business owner, I take great pride in providing personal service and forging strong relationships (many of which last for years) with the wonderful families that are connected to camp. 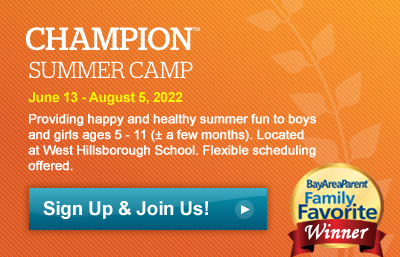 As a fellow parent, you can rest assured that I want all kids to take away amazing memories and experiences from Champion Summer Camp (in fact my son will be attending six weeks as as a camper this summer). As the Executive Director, I look forward to providing happy and healthy activities that allow kids to take full advantage of what summer has to offer. In short, as I enter my 16th year in the summer camp business, I am more excited than ever and believe that 2019 will be the best summer yet! I encourage you to give me a call to discuss camp in greater detail and I hope that your family will join in on all the fun at Champion this summer!